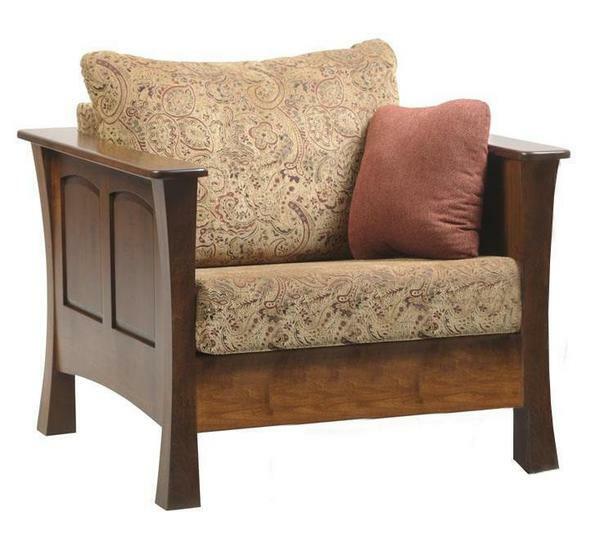 Welcome home to a delightful Amish Woodbury Living Room Lounge Chair waiting for you! This luxury seat features solid wood with raised panel sides and flared legs that add interest. Built in the wood and finish that matches your living room, along with the plush upholstery you like best. There will not be a need to replace this lounge chair. Amish made furniture built to last with the features you're wishing for. Email or call us today for personal assistance with your order. Thank you for shopping with DutchCrafters.